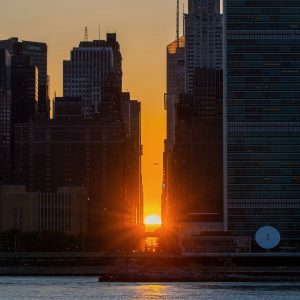 Manhattanhenge is a phenomenon where the sun is perfectly aligned with the streets of Manhattan, especially along the 42nd, 34th and 14th streets. It happens twice a year – around the end of May and the beginning of July. May 29th and 30th are the most discussed events in the media. As Gowri says, one need not look at the exact dates of May 29 and 30. In fact, he took the picture up in June 1, 2017. The Manhattanhenge phenomenon is not mysterious, of course. Similar alignments take place worldwide on various data. Think Stonehenge. The point of the sunset on the horizon varies throughout the year. At this time of year – between the March equinox and the June solstice – the point of the sunset shifts from the horizon to the north every day. It is the northward migratory route of the sun that gives us summer in the northern hemisphere and winter in the southern hemisphere. 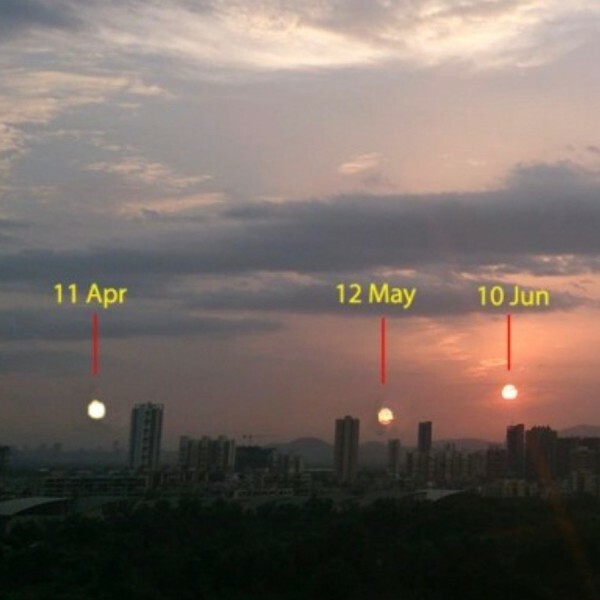 Abhijit Juvekar in Dombivli, India, created this composite image of sunsets over a period of months to show this sun continues northward in the months prior to the solstice in June. The phenomenon is based on a design for Manhattan, which is described in the commissioners' plan of 1811 for a straight lattice or "rust" of straight roads and avenues intersecting at right angles. This design runs from north from Houston Street in Lower Manhattan to just south of 155th Street in Upper Manhattan. Most of the crosswalks in between were arranged in a regular rectangular grid, inclined 29 degrees east of the true north, to replicate approximately the angle of Manhattan Island. And because of this 29-degree tilt in the grid, the magical moment of the setting sun, which is based on Manhattan's cross roads, does not coincide with the June solstice, but with specific dates in late May and early July. 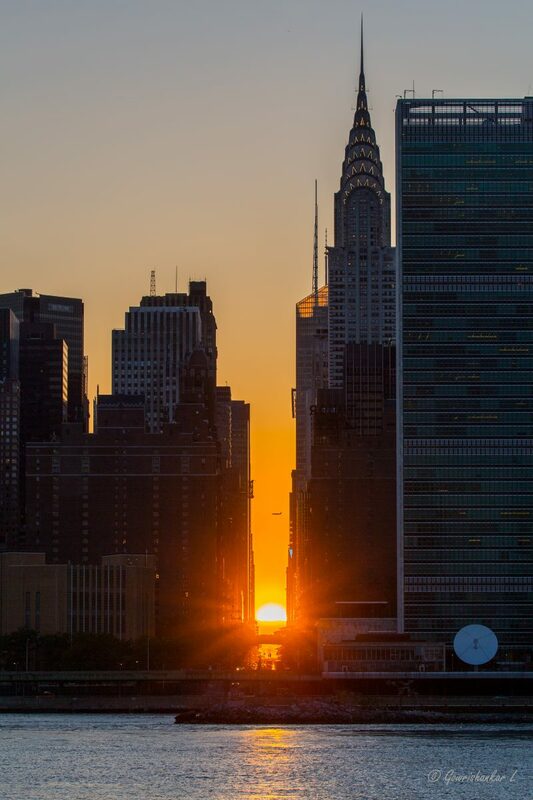 Conclusion: Every year on May 29th and 30th, New Yorkers look to Manhattanhenge. 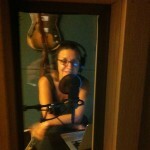 Here's what it's causing.